Donald Trump makes a valid point about Ted Cruz’s campaign tactics in Iowa. Sen. Cruz’s dirty tricks influenced the election results just when the U.S. needs Mr. Trump’s solutions the most. 1. You might recall Sen. Cruz sent that last-minute mailer labeled as an official notice to religious voters that they were in violation of Iowa law. Later, CNN reported Iowa’s secretary of state rips Cruz over campaign mailer. You’ll note Mr. Cruz disgracefully tried to justify sending the bogus mailer. 2. Sen. Cruz’s supporters told participants at 1500 caucuses statewide that Dr. Ben Carson had withdrawn from the race and Cruz’s Iowa co-chair Rep. Steve King falsely stated that Carson was ‘out’. Mr. Cruz blamed CNN as a source for the claim. But CNN’s initial report merely said Dr. Carson was taking a break, not that he was withdrawing. After the election, Sen. Cruz did apologize for the lie. But it was too late. The damage to Mr. Trump and Dr. Carson was done. Sen. Cruz has not taken disciplinary action on his staff. Such behavior by the Cruz camp does not reflect Christian-like behavior, as he claims to be. On a personal note at a store recently, I overheard a middle-aged woman shouting on her cell phone while marching down an aisle. It gave me my biggest laugh of the week. I had no idea what the woman and the other person were discussing, but I wasn’t surprised by her assertion. Polls show many Americans are angry and frustrated – from their skyrocketing health insurance premiums and their inability to keep their doctors under ObamaCare – to stagnant wages, the $19-trillion federal debt, immigration and terrorism, and other dysfunctional foreign policies. So as I thought about the humorous store incident, other developments and historical events, I started thinking about the 2016 presidential election. My conclusion: Donald Trump holds the only ticket to success for our great nation. Agreed, Mr. Trump has been brash. At times, I wish he’d tone down the rhetoric. However, this also means he won’t suffer the same fate as former Gov. Mitt Romney, an astute businessman, but too tepid in responding to disingenuous political attacks. Although leading President Barack Obama by 5 percentage points in the June 2012 polls, Mr. Romney lost because he failed to respond to any attacks in the ensuing months. In addition, Mr. Romney was ostensibly defensive about his wealth. Not Mr. Trump. He sees it as a marketing strength and is known for his acerbic responses to political attacks. He crushes his opponents. With the overwhelming problems facing the U.S. and world, the campaigns demonstrate a lot of voters would rather cope with occasional dubious behavior from a patriotic American than a demagogic socialist as president. They feel any of the Republican candidates would be preferable over Sen. Bernie Sanders, Sec. Hillary Clinton or any other Democrat should she be indicted. 1. He’s right on the salient issues. There are too many global economic geopolitical issues for any of the candidates to manage except for Mr. Trump. He was the first to talk about the dangerous immigration policies of the Obama Administration. A temporary ban on immigrants is necessary. So is a wall to separate the U.S. from the drug traffickers and illegal immigrants. The media doesn’t seem to notice several European countries, such as Sweden and the UK, are changing their tunes on Muslim immigrants. Those immigrants are straining the countries’ budgets. Many immigrant have abused German women — just Google the keywords, “German women hurt by refugees,” and you’ll see 3 million search results. He’s built a financial empire in New York City – the world’s No. 1 financial center. Not the least of considerations, he has a better sense of knowing how to grow the economy. Consider the economic data on weak consumer spending and the tepid earnings reports by many retailers, the weak numbers on manufacturing, China’s economic issues, and the low gas prices. U.S. oil producers are going into bankruptcy because the Arab countries are flooding the marketplace with oil to dominate U.S. production for market share. The situation might worsen as a result of the horrendous Iran nuke deal pushed by President Obama that allows Iran to start selling oil again. There’ll be dire consequences for American consumers – if there are fewer domestic producers – making it possible for foreign countries to raise oil prices and extend their monopoly. Plus, the average American workweek is less than 35 hours per week because too few Americans are gainfully employed, and there are many other challenges. With his $10 billion in net worth and thousands of employees, no need to elaborate further here on who is best qualified to lead America. A) His campaign slogan is in the proven range of three to five words, “Make America Great Again!” Contrast that with his competitors – none has positive, memorable slogans. B) He repeats his slogan often. For effective messaging in the 21st century, a frequency rate of five times is needed to persuade the average American. His rhetoric most-effectively addresses the angry emotions of most Americans. He anticipated they’d like the idea of a temporary ban on immigrants from Islamic countries to sort things out. Also, Mr. Trump realizes he has to attract a like-minded pool of voters over economic and national-security issues. Friends have told me their liberal friends from New York to California will secretly vote for a Trump ticket. It’s also been widely reported that he under polls because respondents to pollsters don’t always tell the truth about whom they support. “Make America Great Again” is a simple message. Its simplicity is reminiscent of one of the most-effective, political commercials of all time. Mr. Trump nails this emotional concept – he says he’ll save the country and will turn his companies over to his kids – voters love this. He also has mega-media star appeal. He draws the biggest crowds of any candidate whether Democrat or Republican. At which he’s asked for autographs and members of the audience like to take selfies with him. 3. Ethics and scruples notwithstanding, Sen. Cruz and other candidates don’t understand marketing principles. With their adamant proclamation invoking the Conservative label, the candidates remind me of happened in the President Lyndon Johnson landslide of 1964. The Republican-ticket campaign slogan, “In your heart you know he’s right,” was too defensive. Conversely, members of the liberal media at MSNBC or CNN never miss a chance to interview Mr. Trump. Mr. Trump instigates topics to dominate the news cycles. He hasn’t let others define him. He fights back. 4. Mr. Trump best understands the Electoral College system. It will be critical to get the maximum number of votes for each state in the Electoral College. For a candidate to win, 270 electoral votes are required. In bragging he can win, there’s truth to his assertion. Mr. Trump might even be Arnold Schwarzenegger-like to win California’s 55 Electoral College votes. Actually, with his middle-American following, he’s positioned to make inroads with the other blue states and win the critical swing states. Aside from his dubious win in Iowa, Mr. Cruz might win Texas and its 29 votes, but little else. He’s been disappointing in claiming to be the best Conservative, but he’s abandoned core Conservative values on ethanol and farm subsidies just so he can get a few votes in Iowa. The news video of him changing his votes on those issues made him look disingenuous and opportunistic in a negative way. Further, no Republican has ever won the presidency without winning Ohio. Aside from Ohio Gov. John Kasich, Mr. Trump is probably the only Republican candidate who could carry blue-collar Ohio and its 23 votes. 5. All the previous Trump candidacies were merely attempts to test the waters. In previous years when I criticized him for not being a serious candidate, I didn’t believe he was committed to run. But it occurs to me I temporarily forgot my own marketing mantra, “When in doubt – test, test and test.” Mr. Trump tested the political marketplace for decades. He fully understands Americans’ anger and is capitalizing on it. 6. Americans love courageous, optimistic people. Patriotic voters are tired of President Obama’s apologizing for America when apologies aren’t warranted and his timidity on national security. 7. Never underestimate the value of long-life experiences. There’s a lot we can learn from history. 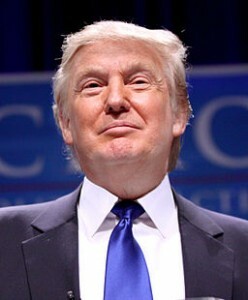 Mr. Trump’s perspective of a 69-year-old displays a higher level of worldliness than the young candidates. Mr. Trump’s opponents have a flawed perspective. They underestimate him. They have no idea what they’re up against. When Mr. Trump refuted Sen. Cruz on the “New York values” issue and mentioned New York has been the home of Conservatives like William F. Buckley, it wasn’t just about defending New York. Mr. Trump was subtlety reminding us of his vast experience and intelligence. Mr. Trump’s rejoin was noteworthy in my eyes. In 1967 as a student journalist at Pepperdine College in Los Angeles, I interviewed the intellectual Buckley. My memory of Mr. Buckley reminds me of the value of Mr. Trump’s rich background. The year hasn’t been made public but shortly thereafter, Mr. Trump borrowed $1 million from his father and began building his empire. Soon, Americans were laboring in a recession, and then endured huge lines at the gas pumps and President Nixon’s wage and price controls. Undoubtedly, Mr. Trump had a tremendous wealth of experiences before some of his opponents were even born. He was already thinking about being President – he’d already started to build his foundation of credentials for the presidency. Meantime, first-term Senators Cruz and Marco Rubio were only about 5 years old. So it’s almost amusing that Sen. Cruz ridiculously continued to pontificate about “New York values.” Ironically, Sen. Cruz’s naiveté in belaboring it reminds me of the 1984 presidential campaign debate between former Vice President Walter Mondale and President Ronald Reagan. As for the lady on the cell phone, she was right – an election of Mr. Trump will help make America great again. Memorial Day: What Would Abraham Lincoln Say Today? — Memorial Day is a holiday to remember the armed forces’ men and women and why they died to protect our freedoms. What Honest Abe would say today. It’s been well documented that Abraham Lincoln is the political idol of President Barack Obama.